This is a good starter for children 7 - 8 yrs. on although some may manage it earlier. The DK wool meant it is easier to manipulate and they produce something they can wear. 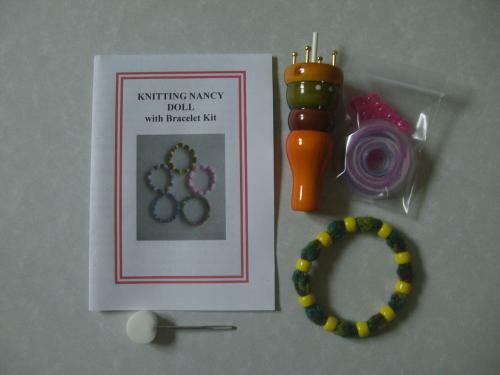 Kit includes Knitting doll with lifter, tapestry needle. 4yds DK shaded wool, 10 pony beads and instructions. Required scissors. Once the child has mastered this encourage them to experiment with different yarns.